If you are looking to enhance your display board, then we offer multiple Display Board Accessories to help make your exhibit stand out amongst the crowd. We offer additional display panel spotlights to highlight your display board. 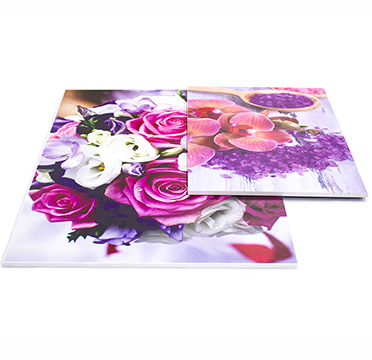 You can utilise our graphic team's skills with our printed posters and foamex display board, allowing you to upload your own design for the display board or work with our team to develop one to make the perfect versatile printed display. By opting for this, you can simply change the poster or foamex display board whenever you are looking to update your folding display board with further accessories. To add an organisation logo without compromising any space on your panel, then as part of the Display Board Accessories we offer loop nylon fabric headers or printed headers to fit with your display board. Additionally, you can find any small Display Board Accessories that you may need to replace over time here, including Velcro dots, Velcro strip as well as replacement locking clips. At Go Displays, when we designed the Display Board Accessories, we focused on creating versatile products which is why the accessories listed below are compatible with the Event and Universal ranges as well as many more. Display Board Accessories are a perfect way to push your display board the extra mile and to help it to stand out from the crowd amongst your competition when exhibiting at exhibitions, trade shows or many more. Why Buy Display Board Accessories? Display Board Accessories allow you to fully customise your Folding Display Board exactly as you want. Printed posters and printed foamex display board are a great way to add your own personalised touch. You can even have these Display Board Accessories designed by our Graphic Design team! If you are looking to really impress with Display Board Accessories, both our header panels and display board spotlights can help to draw attention to your display board. All of our Display Board Accessories are produced on site at our premises in Peterborough. While some of the Display Board Accessories such as theÃ‚Â self adhesive hook dots and printed boards can be used with some of our other products, it is worth noting some of the accessories such as the display board spotlight, single header and replacement locking clips are specifically designed Display Board Accessories for use with the Event and Universal range of display board. Display Board Accessories are designed to be as efficient and lightweight as possible when setting up your Folding Display Board. Both our display board spotlight and single header accessories simply clip on to your existing panel. For any other material to be added with Display Board Accessories, the Velcro friendly loop nylon fabric allows you to easily apply the Velcro dots to your material and simply add it to the display board. For any extra information on how our Display Board Accessories can give your display board the edge then please get in touch with our team of advisors on 01733 232000 or send us an e-mail at sales@go-displays.co.uk.